Chronic pain affects most of us. When you are in pain, it rules your life and is a source of constant worry. You owe it to yourself and your loved ones to seek treatments that offer lasting relief. Our qualified pain specialist doctors and physician assistants at Centers of Rehabilitation and Pain Medicine are here to help. We draw from a broad array of proven treatments and medical therapies to help you live life to the fullest again. Our care is professional yet compassionate, thorough and advanced. Above all, it is personalized to your specific case history. Use our interactive stimulator to find out. Unlike many other pain centers, we treat pain as the PRIMARY problem, not as a symptom. 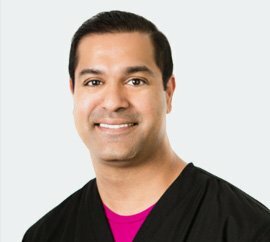 Every patient is unique – our individualized pain management plan focuses on regaining functionality and independence. Our team of Doctors and Physician Assistants are some of the finest in Orange County. They combine their experiences and expertise with empathy and understanding. Certain types of injections are proven to provide relief against headaches to patients who suffer from migraines. They have been licensed to treat chronic migraines by the Medicines and Healthcare products Regulatory Agency (MHRA). Radiofrequency Ablation (RFA) is a minimally invasive procedure that uses radio waves to disrupt nerve signals that cause chronic pain. Radiofrequency ablation directly targets and treats chronic pain and its corresponding symptoms in patients. At Centers for Rehabilitation and Pain Medicine, we offer the leading pain treatments for our patients in Orange County. Dr. Lai and our physicians are dedicated to helping patients relieve pain. We use corticosteroid steroid injections for joint injuries or conditions to reduce inflammation and redness. 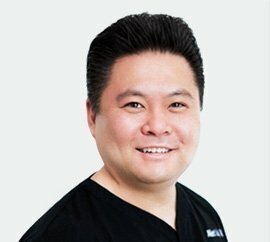 Dr. Lai has taken away my husbands chronic pain without the use of drugs. The results are unbelievable. He has been seeing Dr.Lai for quite some time. The office is always busy. Very nice and clean facility. Staff is extremely professional and friendly. MA Lisa is awesome, very down to earth. She made me feel very comfortable. I've been coming here for a few years. Alma, Roxanne and the rest of the staff are very nice and helpful. I would HIGHLY recommend them to anyone needing pain management. Chronic pain management can make your life unbearable. That is why you need a doctor who specializes in pain management to help you get a handle on the quality of your life. Chronic pain means you have pain lasting longer than 12 weeks. Chronic pain may arise from an initial injury. But it can also be the result of an underlying illness. Is your chronic pain unbearable? Did you know that many people who suffer from chronic pain become suicidal? They tire of a life filled with constant pain. Pain management helps patients who suffer from chronic pain. Pain might be the result of a wide variety of conditions. It is important you get some relief and have some control over your life again. How long have you been dealing with chronic pain? It may be time to have a reassessment by a pain management doctor. They will look at your medications and see how they are working. Your pain management doctor will work in conjunction with your primary care physician. As well as any others involved in your medical care. A pain management specialist begins by doing an evaluation of your medical history. Next, they will conduct a physical exam to determine the right treatment. The main goal is to treat your pain and keep it under control. Sometimes your pain management may involve a long-term solution such as surgery. Your physician may use a prognostic nerve block to help predict the outcome of your surgery. Likewise, your physician may use the nerve block to avoid surgery. Pain management is a very personalized treatment plan. Everybody experiences pain in different ways. This all depends on how successful the nerve blocks are in controlling your pain levels. There are a few basic questions you should ask your doctor when discussing your care. 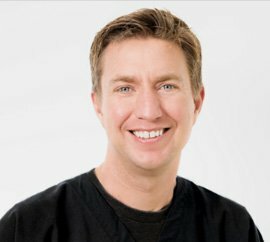 It is important that the quality of your care meets your expectations. This includes what type of credentials the doctor holds in chronic pain management. A great question to ask is how long patients stay in care before they are able to manage their pain levels on their own. Or without constant intervention. This will help to give you a good understanding of the timeline of your treatment plan.